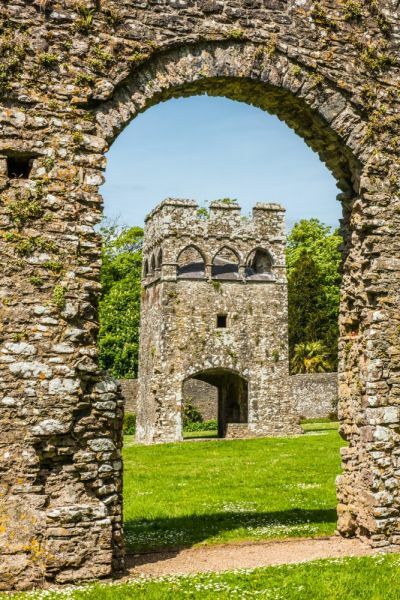 Lamphey Bishop's Palace is a ruined medieval retreat for the bishops of St David's, located in a lovely rural setting. The palace is mainly the work of Henry de Gower, Bishop of St David's from 1328 to 1347. Think of Lamphey not as a palace in the usual sense of the word, but a place to get away from it all; a retreat from the hustle and bustle of St David's, the seat of the powerful Bishops. 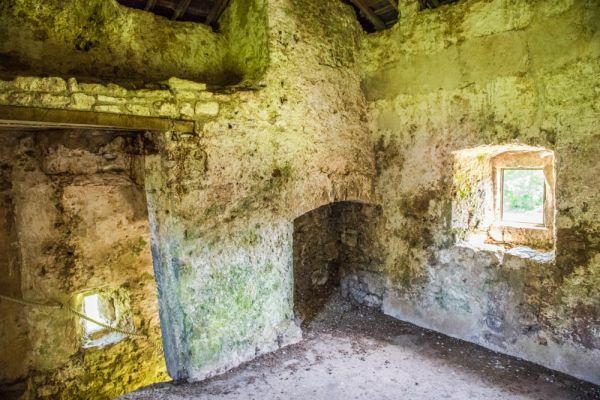 Though many of the buildings we see today were the work of Bishop de Gower and his successors, Lamphey was actually in use before the Norman Conquest. The palace was just one of three palaces used by the bishops; the others were at Llawhaden and Abergwili. The palaces were carefully located at roughly equal distances (about a day's ride apart) around the diocese so that the bishops could easily travel from one to the other. Lamphey seems to have always been their favourite palace, and seeing the magnificent architecture that has survived that is not surprising. Geraldus Cambrensis, the 12th-century Welsh historian, says that the last pre-Norman bishops established a country residence at Lamphey. Not only the bishops came here; Lamphey was used by powerful church officials in addition to the bishops of St Davids. Here at Lamphey they could let their hair down and play at being country nobility. 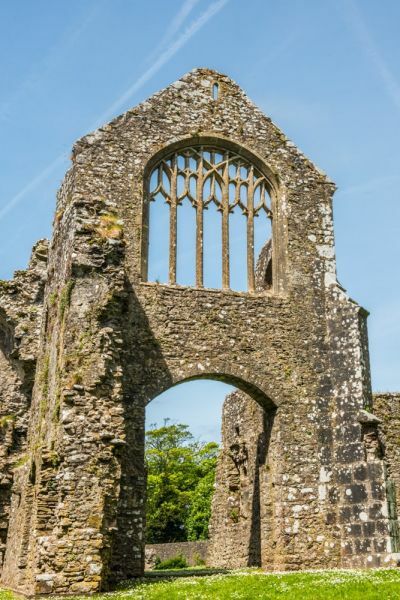 And, make no mistake, the bishops of St David's were very much the equal of medieval nobles; they enjoyed all the privileges of rank, including great wealth, social status, and power. They were religious leaders but they were also very powerful men who exercised enormous worldly influence over their territory and on the national stage. They were advisors - or adversaries - of monarchs and in some cases had more power in their territory than the monarch was. They were princes of the church and expected - and usually received - the same respect as secular princes. 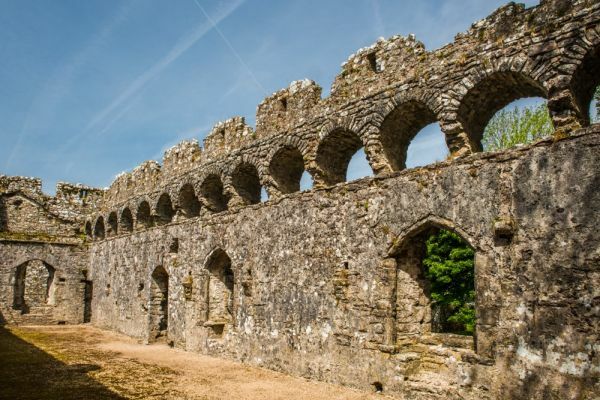 It was left to the Norman bishops, however, especially Bishop de Gower, to turn Lamphey into a grand country palace, suitable for a medieval bishop. 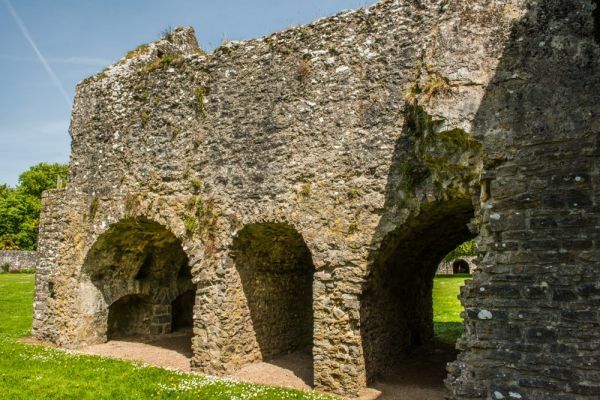 The Norman bishops added ranges of buildings including a great hall - the centre of communal life in the palace - plus the Old Hall and West Hall. The palace was developed with two courtyards. 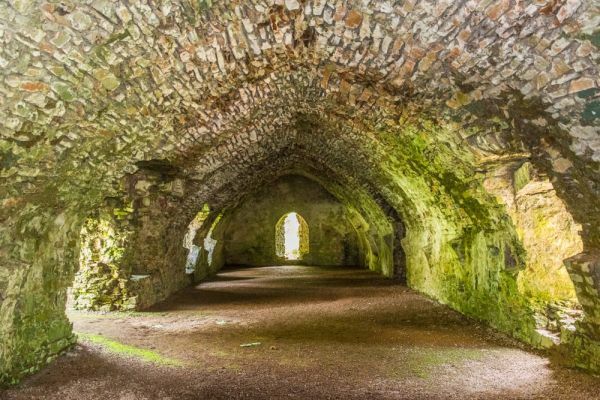 The main part of the palace enclosure was located to the south-east where you will find the Old Hall, the earliest part of the existing Palace, built in the 13th century. 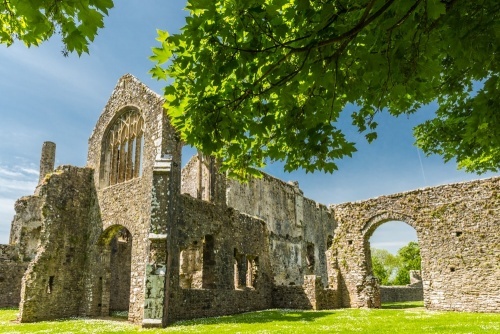 Next to it is the Western Hall, added by Bishop Richard Carew, whose term in office spanned the years 1256-1280. 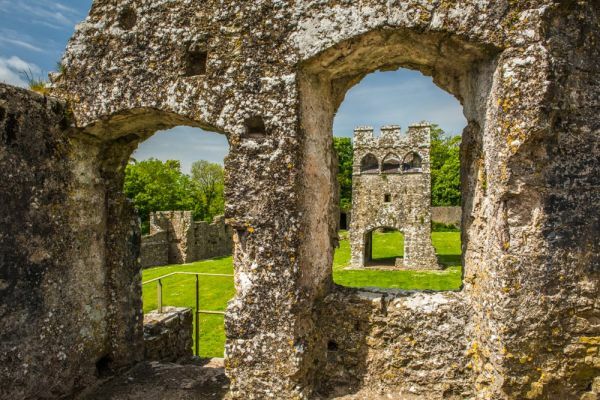 The centrepiece of Bishop Gower's palace was the great hall, to the east of the earlier Old Hall and Western Hall. The great hall stretching 82 feet long (25m). This was the social hub of the palace, where important guests were entertained and where meals were held. It was a chamber built to impress. Though it is ruined, the architecture gives you some idea of just how sumptuous the palace must have been during its heyday. It is especially notable for its arcaded parapet. The bishops lived a life of luxury, their diet augmented by fish raised in a fishpond outside the south wall. After the Reformation Lamphey passed through several sets of private owners and was eventually purchased by the Earl of Essex. After Essex fell from grace in the reign of Elizabeth I the palace was allowed to decay until it became a romantic ruin. How romantic? Well, the headless spectre of the unfortunate Earl is said to haunt the ruins. Other ghostly sightings include a group of singing nuns, which, if you have to see spirits, sounds fairly innocuous! The Palace was used by Cromwell's troops during the Civil War. After the war ended the estate was purchased by the Owen family of Orielton, who used the once-grand Palace as farm buildings. In 1821 Charles Mathias of Llangwarren bought the now neglected Palace and turned it into a walled garden. The Mathias family built the magnificent mansion of Lamphey Court (now a hotel) beside the Palace. We have visited several times and I'm amazed that the Bishop's Palace is not better known and more visited by tourists. It is a truly wonderful place, a secluded enclave with a pervading sense of peace and tranquillity. You can see why the bishops wanted to escape to Lamphey!